€15,000 is to be spent on healthy projects and activities during the Healthy Tullamore initiative which is being spearheaded by pharmaceutical company Pfizer. The event will take place over September-October with the emphasis on mental and physical health. At a presentation at last Thursday's Municipal District Meeting, Pfizer's Director of Corporate Affairs, Karen O'Keefe said Pfizer will donate €5,000 which will be matched by €5,000 from Offaly County Council, the final €5,000 will come from the Healthy Ireland Initiative. Councillor Tommy McKeigue thanked Pfizer for choosing Tullamore. ''If it gets people away from their television for an hour, it will be a good thing. But one thing sticks out and that's mental health. There are a lot of groups working on that but not a lot is happening,'' he said. During the two months local people can expect encouragement to get active, eat healthily and look after their mental health. There will be health screenings at convenient locations, healthy cookery classes, parenting classes and talks on a variety of health related topics. Last year the programme took place in Navan with over 300 heath checks. 42 per cent of those needed to be referred to a GP. There were free yoga classes, Specsavers got on board and some of the local gyms dropped their rates. In addition, Karen O'Keefe told members that a public walk led by TV personalty Hector O'hEochagain in a lesser used park in Navan attracted 1,000 people. Since then the park has become a popular spot with walkers. Chair of the Tullamore Municipal District, Councillor Sinead Dooley, assured Karen O'Keefe that Tullamore would not be ''found wanting'' and she mentioned the number of sports clubs in the town which she felt would be eager to get on board. is up to us to maximise the opportunity,'' she said. 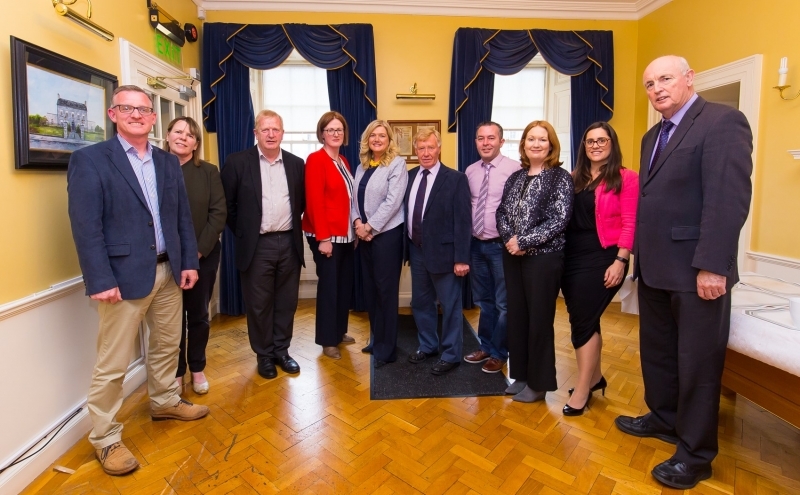 Cllr Dooley also pointed out that the programme will take place during the National Ploughing Championships and she hoped people would be attracted into town for health screenings. Cllr Danny Owens described it as a ''wonderful initiative.'' He encouraged all the sports clubs in town to get involved.